Henry Cavill News: Duncan Falconer Says Henry "Has A Lot Of Stratton In Him"
Duncan Falconer Says Henry "Has A Lot Of Stratton In Him"
Author Duncan Falconer has shared a new update on his Facebook page, and it involves meeting Henry and sharing what he thought of him as Stratton. Just a few days ago, Falconer confirmed the film has found its director. "I met Henry for a beer a few days ago, our first meeting. I'm a no BS kind of person, as you might suppose, and I have to say, and I'm relieved to say, he is a first rate bloke. If he was otherwise, I'd just keep silent on the subject. So for all of his fans who actually wonder what he is really like, I can assure you, he gets my approval, and I'm tough to please. He has a lot of Stratton in him. Next stage is to get him in the field, get him wet, cold, tired, put a gun in his hands, and take it from there. I'm looking forward to that." Wet, cold and tired?.. whatever it takes to become John Stratton, we know Henry will give it his 100 percent. Here's a little bit of what he could be in for, as he prepares to play a Special Boat Service operative. Stay tuned for the very latest, as production gets closer. UPDATE (2/17): GFM Films, which is co-producing the film with Henry's Promethean Productions and Amber Entertainment, shared a quick Stratton update with us. So exciting! @HenryCavillNews Us too!! News very soon! I bet Henry is looking forward to that too. 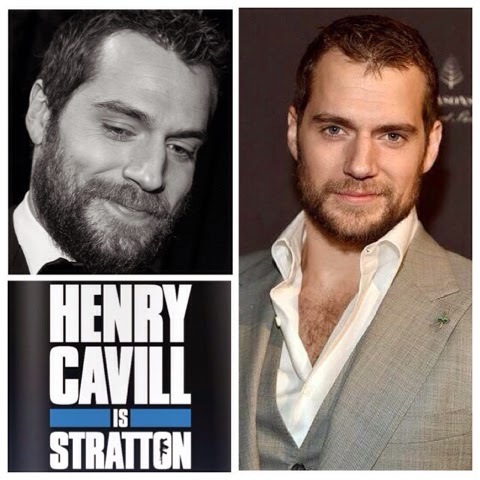 Henry will be a great Stratton , because he is a great actor. I read a book on holiday a year ago. Falconer has a specific style of writing . On the one hand, mysterious as Le Carre , and on the other hand a real amateur. "Hostage" is a mystery and action. It has to be just right to show. But that's a ready scenario. Fantastic! Henry has received the seal of approval from the man himself, excellent. This is going to be good. Can't wait to find out who's directing the film. Bravo Henry! Hey guys. I just ordered "Hostage" by Duncan Falconer and his "SBS book on actual accounts" so I'm so excited to read on what Stratton is all about. I figured this can help me with the stress of waiting for "Man from uncle" which is 5 months away! So I can busy myself with the Stratton series and get to who John Stratton is. Have a great day everyone! That's awesome! -- may have to follow your lead. Let us know what you think? -- The wait for UNCLE is stressful for us as well. We'll hopefully be bringing you filming updates once Stratton gets going.